While there has been the development of music before the Baroque Era [such as the Renaissance] and after the Romantic Era [post Romantic-Modern], when one talks about classical music they are usually talking about the three great eras of music: Baroque, Classical, and Romantic. So, classical music is differentiated from the Classical era, as classical music is comprised of music from all those three eras and not just the Classical era. 1. Baroque Era: This era of music began at the beginning of the 17th century and lasted until just before the mid 18th century. This era was the foundation [development] of all music that followed, even up until today. Johann Sebastian Bach was the quintessential Baroque composer and some consider him the greatest composer of all with his development of musical ideas that young children are taught as they are learning how to play a new instrument. The Baroque era's orchestral pieces [like concertos] had small orchestra's and therefore not as big a sound as would be heard in the future periods of classical music. The harpsichord and organ, and not the piano would be the keyboard instruments used in this era. Also, characterizing this era of music was the technique of polyphony, "many voices", where you could have two or more lines [themes-melodies] played at the same time. J.S. Bach was the key developer of this technique. To many of the composers in this era, religion played a big part of their lives and their music as represented by some great oratorios and cantatas. A few of the great Baroque composers besides Johann Sebastian Bach, were Antonio Vivaldi, George Friderick Handel, Domenico Scarlatti, Georg Philipp Telemann, and Henry Purcell. 2. Classical Era: The classical era lasted from about the mid 18th century to the early 19th century. The two quintessential composers in this era were Franz Joseph Haydn and Wolfgang Amadeus Mozart. The use of the ornaments "trills and turns" were more prevalent than in the Baroque era. Franz Joseph Haydn helped develop the classical symphony, string quartet and sonata forms of composition. The orchestras used in the symphonic pieces were larger than in the Baroque period of music and the piano replaced the harpsichord as the keyboard instrument of choice. 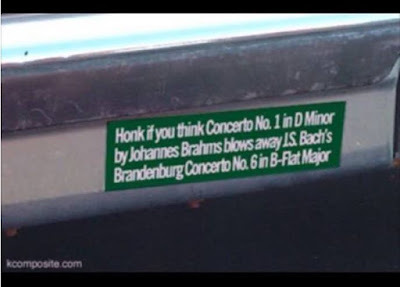 A few of the great classical composers other than Haydn and Mozart were 'the early years' of Beethoven and early years of Felix Mendelssohn, Franz Schubert, Muzio Clementi, C.P.E Bach, Johann Nepomuk Hummel and Carl Maria Von Weber. 3. Romantic Era: This era of music was from about the late 18th century thru the early 20th century. While he had almost exclusive compositions for solo piano, I think one might consider Frederic Chopin as the quintessential Romantic era composer. The Romantic era is characterized with big orchestra's and a resulting big sound. As the name implies there is a lot of romance, emotion and beauty in this music. That beauty is aided with the use of musical flourishes [ornaments like trills] and the technique of "rubato", where a note is actually delayed being played from it's written time in the score at the discretion of the solo player or the conductor. That delay [slight or sometimes exaggerated] lends to the expressed feeling of the music by the musician and is received warmly by the audience hearing it. Along with Chopin, a few of the great Romantic composers were Beethoven [in his later years], Pyotr Ilyich Tchaikovsky, Antonin Dvorak, Felix Mendelssohn, Robert and Clara Schumann, Franz Liszt, Johannes Brahms, Camille Saint-Saens and Sergei Rachmaninoff. Here are some pieces that are representative of the three great periods of classical music. To represent the Baroque era are Johann Sebastian Bach's Violin concerto #2 in E Major, and Johann Pachalbel's Canon in D Major. To represent the Classical era are Franz Joseph Haydn's Trumpet concerto in E Flat Major, Ludwig Van Beethoven's piano concerto #3 in C minor and Wolfgang Amadeus Mozart's "Eine Kleine Nachtmusik". To represent the Romantic era are Johannes Brahms Symphony #2 in D Major and Robert Schumann's Piano Concerto #1 in A minor. Please turn up the volume and enjoy some great classical music from its 3 great periods: Baroque, Classical and Romantic. Big Mike, I live for your music posts! I am sitting on my porch listening to the music you've postied, and I'm in seventh heaven. I think you should be at some college in your area teaching music. BTW, just a few miles from our vacation home (Essex, NY) is a music camp, call Meadowmount. Young aspiring artists come from all over the world to learn their instrument. Yitzach Perlman came here as a teenager, for instance. Tonight, the students are coming over to our little HOA to give a concert. If I am allowed to, I'll record a little for you. Meadowmount has free concerts every week. We have seen some great young stars give breath taking performances over the years. Sometime, you will have to visit, and come with us to a concert. Anyway, thanks for your music. You bring fragrance into life! Wow thanks for your kind words. that is fantastic big Harry- enjoy! If it is like Jones Hall you probably will be given a warning not to take pics or record during the concert.